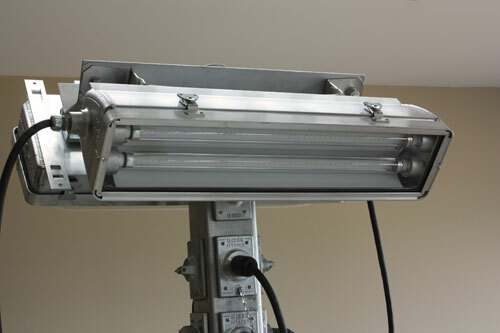 BOSS Lighting is able to build products that are of better quality to the end user. For example, with the popular 485/245 "Flat Back-Mount Drop Lens", BOSS improved the reflector for maximum light output, they built a better door and gasket to avoid leaking, and designed mounting brackets to allow the fixture to be mounted quite easily. BOSS made the lens out of higher impact resistant material to last longer and save our customers on the amount of repairs. For the 483/243 "Universal Back-Mount Flat Lens", BOSS went back to the drawing table to create a revolutionary step forward in lighting for functionality and ease of use. BOSS designed a superior mounting system for the 243/483. As some complaints reported that conventional brackets were breaking and hard to mount, BOSS added an adjustable back bracket that slides into the groove on the fixtures, thereby eliminating any of these concerns. BOSS eliminates opportunity for water getting into the end of the units with a safety cable attachment in the middle of the fixture. BOSS created a piece where both ends of the fixtures are identical; this also allows the fixtures to be row mounted and through wired. The added groove on the fixture supplies the fixture with more integral strength and allows for better cooling for the ballast.